Rebuilding Place in the Urban Space: When you have to deal with on-the-ground reality vs. ideology: San Diego to hire "Immigrant Affairs Manager"
When you have to deal with on-the-ground reality vs. ideology: San Diego to hire "Immigrant Affairs Manager"
Judicial Watch is one of the many hard right organizations that's been developed over the past few years to push a conservative agenda. One of its biggest issues has been to demonize the US Department of Justice and the FBI over the various investigations of Donald Trump, as a way to position "justice" as being overtly and directly political. "A pothole is neither Democratic nor Republican." 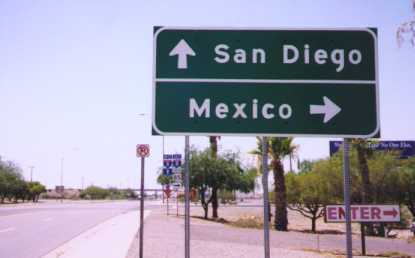 If you're a city in the border region along the US-Mexican border, you need to have a policy with regard to both Mexico and immigrants. It's not an ideological exercise, but something you have to deal with every day. For example, I've written about this in terms of how sewage water discharges from Tijuana impact beaches in San Diego County ("International entities that affect communities: embassies; sewage"), the pedestrian bridge connecting the US to the regional airport that is across the border in Mexico, or the need to improve transit connections between Tijuana and San Diego beyond the connection at San Ysidro. JW in what they call their Corruption Watch blog, calls our attention to how San Diego, "run by a Republican mayor," is hiring an immigrant affairs manager ("Group Releases New Blueprint for Welcoming Immigrants and New Citizens to San Diego Region," SD City press release). Which is one of the recommendations from a report, Welcoming San Diego Strategic Plan on Immigrant & Refugee Integration, produced by a stakeholder group. 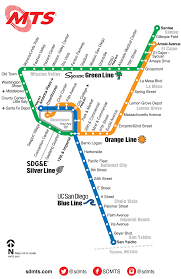 To me, that sounds pretty practical, given that San Diego County borders Mexico, the transit system goes to San Ysidro on the border, and that the city proper is about 20 miles from the border. The long-term plan was created with input from hundreds of residents, dozens of organizations and businesses, and a cross-sector steering committee covering five topic areas: economic opportunity, education, inclusive access, civic engagement and safe communities. The committee studied strategic plans, immigrant affairs offices and best practices in peer cities across the nation. "Foreign policy" is an area of interest for many cities. Besides the reality that certain big cities are part of a network of global cities, metropolitan areas are engaged in trade between the US and other countries, have ports, international airports, and often a big trade in international tourism. Note too that many cities have "sister city" relationships with cities in other nations anyway, and often spend time and energy aiming to recruit foreign-based businesses. Some cities even have foreign offices to do this. Aaron Renn/Urbanophile often calls our attention to the Chicago Council on Global Affairs and the writings of Richard Longworth. Cities are global. E.g., Brookings Institution has the Global Cities Initiative. Immigration is a source of urban revitalization energy. Cities large and small have declined because of the outmigration of population usually spurred by sprawl, and either the decline or movement from the city of urban-based manufacturing. One way to counter population decline is through the in-migration of immigrants. 1. When I was writing that series on European Union cities, I came across a great report that I can never seem to find now on Marseille's efforts at immigrant integration. They have big issues because of constant immigration from Northern Africa. 2. I was also thinking about the US and immigrant flows between the US, Mexico, Central America and South America when reading a long article in yesterday's Washington Post about the state of the European Union in the face of opposition to its goals by President Trump ("Europeans fear Trump may threaten not just the transatlantic bond but the state of their union"). When I was writing, I was super impressed to learn about the Interreg program of the EU, designed--although it doesn't always work--to improve the economic and social conditions of EU's eastern members in part as a way to reduce immigration to the more economically healthy western countries. 3. 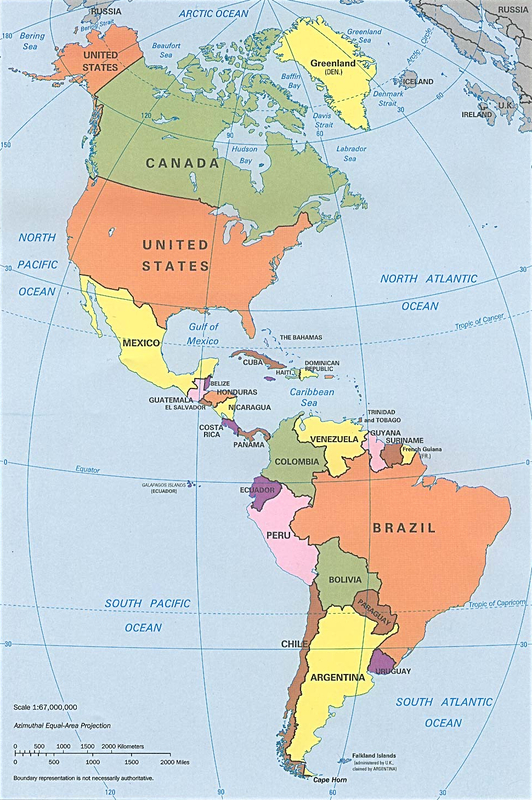 Ever since my freshman year in college I've been interested in Latin America and it is so obvious that we need an initiative comparable to the EU to help to stabilize, socially and economically, the countries to our south. If people had better economic, social and political conditions there, they would be less likely to want to emigrate--legally or illegally--to the US. Similarly, imagine NAFTA if it also had been a kind of EU type project, providing for more exchange and opportunity and assistance beyond merely trade. 4. And that the harder we make legal immigration, the more people are driven to immigrate "illegally." (cf. "Stephen Miller said he'd be happy if no refugee ever again set foot in US," The Hill). Illegal immigration is partly a product of US intransigence. 5. Ironically too, a large part of the Brexit issue along with distress within the EU over immigration and illegal immigration has a lot to do with the continuing fallout of the US invasion of Iraq in 2003 and the ever cascading destabilization that has occurred ever since. wrt a N-S version of an Americas Union, I didn't mention the JFK-era "Alliance for Progress" initiative. 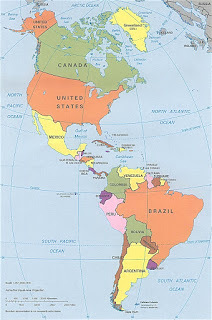 Nor the South American countries association, the Organization of American States, which is based in DC, as is the Inter-American Bank, which functions like a World Bank but for Central and South America. The international courier services to UK have started increasing as the brands are more familiarised.